Kamla Ben and her mother passed-by and I quickly wanted to capture the image. I signalled if I could take one. She waived her hand and said wait while pulling her cart back. She superficially adjusted her sari and meekly asked if I wanted the "bhaji"(vegetable) basket on her head; I said, no Kamla Ben, just smile for me. 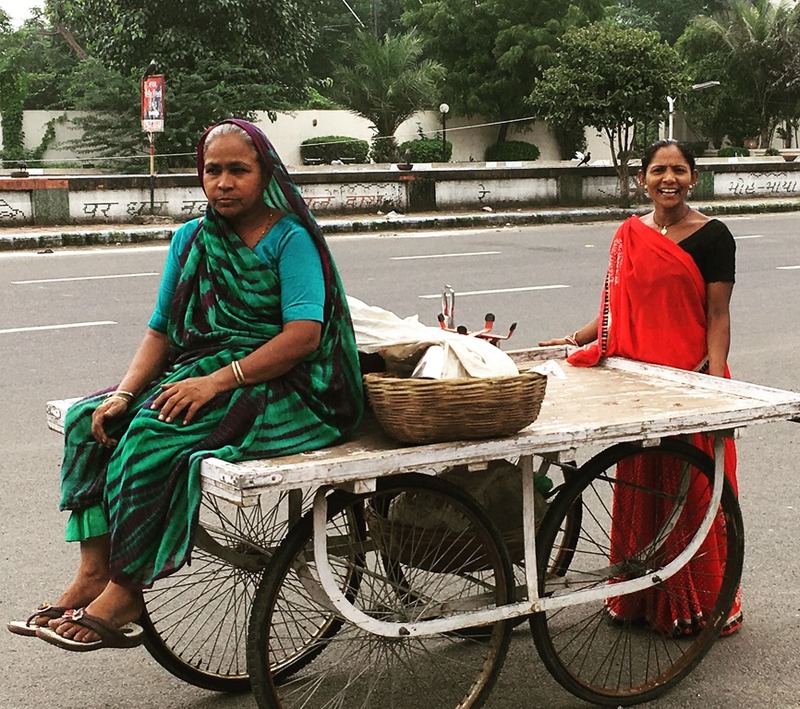 Here is this woman who is proud of what she does and is confidently pushing her cart with her mother sitting on it, somewhere she felt happy to be in front of a camera. I bowed my head and bid adieu with a "Namaste". This entry was posted in Whats New and tagged Ahmedabad, Humble, Street Photography. Bookmark the permalink.